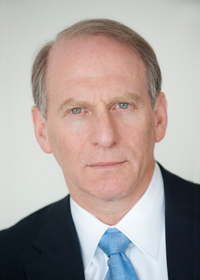 Dr. Richard Haass is president of the Council on Foreign Relations, the preeminent independent, nonpartisan organisation in the United States dedicated to the study of American foreign policy. Until 2003, Dr. Haass was director of policy planning for the Department of State as well as U.S. coordinator for policy toward the future of Afghanistan and U.S. envoy to the Northern Ireland peace process. He was also special assistant to President George H.W. Bush and senior director for Near East and South Asian affairs on the staff of the National Security Council from 1989 to 1993. Dr. Haass is the author or editor of twelve books on American foreign policy and one book on management. His most recent book is Foreign Policy Begins at Home: The Case for Putting America's House in Order. A Rhodes scholar, he holds a BA from Oberlin College and both Master and Doctor of Philosophy degrees from Oxford University. He has received honorary degrees from Hamilton College, Franklin & Marshall College, Georgetown University, Oberlin College, Central College, and Miami Dade College. 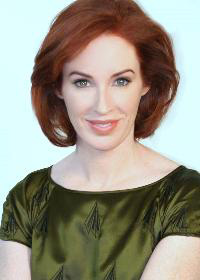 Dr. Meghan L. O’Sullivan is the Jeane Kirkpatrick Professor of the Practice of International Affairs and Director of the Geopolitics of Energy Project at Harvard University’s Kennedy School. Between 2004 and 2007, she was special assistant to President George W. Bush and also held the position of Deputy National Security Advisor for Iraq and Afghanistan from 2005 until the end of her tenure at the National Security Council. She spent a cumulative two years in Iraq throughout 2003-2008. Before this time, Dr. O’Sullivan was a member of the Policy Planning staff at the State Department and the chief advisor to the U.S. envoy to Northern Ireland, Richard N. Haass, from 2001-2003. She is also currently an adjunct senior fellow at the Council on Foreign Relations, a consultant to the National Intelligence Council, and a strategic advisor to Hess Corporation. Dr. O’Sullivan is a foreign affairs columnist for Bloomberg View as well as a member of the Trilateral Commission and the Aspen Strategy Group. Dr. O’Sullivan serves on the board of the German Marshall Fund, TechnoServe, and the Women’s Initiative at the George W. Bush Institute. She has been awarded the Defense Department's highest honor for civilians, the Distinguished Public Service Medal, and three times been awarded the State Department's Superior Honor Award. She has written numerous books and articles on American foreign policy. In 2008, Esquire named her one of the most influential people of the century. Dr. O'Sullivan received a B.A. from Georgetown University and a masters and doctorate from Oxford University.